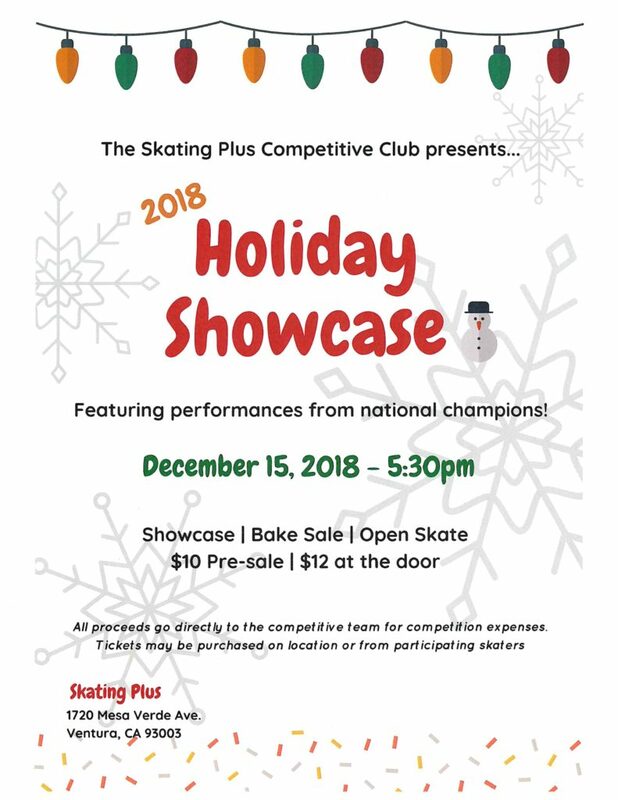 Come see our student skaters in a holiday showcase featuring performances from national champions! $10.00 Pre-sale or $12.00 at the door. Includes the public skating session afterwards until 9:30 p.m. All proceeds go directly to the competitive tam for competition expenses. Click the image below for a printable copy.